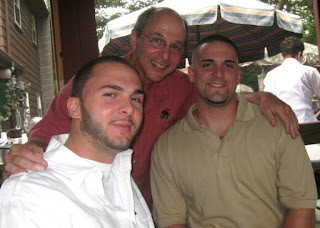 For Ken Bartell in Middleboro, Massachusetts, the spark was a news article about an area mother who has lost two of her three sons to heroin overdoses. And for Jake Buchanan in Dallas, it was the death of his 20-year-old younger brother Cal from fluorofentanyl. The result is a pair of documentary projects that connect to the ever-expanding problem of synthetic opioids in the U.S.
Bartell says that when he read that more than 40,000 people had died from heroin overdoses in the U.S. in 2015, he calculated that this translates to around four every hour. He then learned of a Supreme Court decision that enables the prescription of OxyContin to patients as young as 11. "I also read a stat that said 70 percent of all heroin addicts were originally prescribed an opiate," says Bartell. "I'm unsure as to the validity of that statement however I have met many people who agree with that statistic. I was beginning to learn of more and more of these situations all over the South Shore." "I decided to inquire as to what I could do and reached out to MCCAM (Middleborough Community Cable Access Media). Karen Foye and Zack [Grundy] gave me full authority to shoot this even though I was still unsure as to how or what I could actually do. So I was able to sign out a video camera and a laptop, I was given a crash course on how to work the equipment by Zack from MCCAM, and off I went." In the case of Jake Buchanan, the death last July of his brother Cal, a student at North Central Texas College in Gainesville, was initially a mystery to him and the rest of the family. But eventually, it was discovered that Cal had purchased potent synthetic opioids via the dark web. Making matters worse is the murky legality of some opioids. While fentanyl and oxycodone are illegal without a prescription, drug makers in China and other countries have invented new opioids that can be bought legally online. Fluorofentanyl is generally anywhere from eight to 50 times more powerful than heroin. Another way Buchanan frames opioids, which can be had as cheap as $5 a gram online, is that some are 1,000 times stronger than morphine.